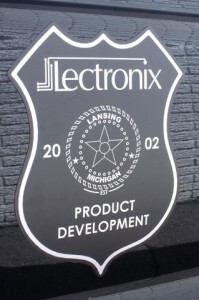 Lectronix has the deep expertise and proven building blocks to help you get your automotive module designed, prototyped, and through validation quickly and with high confidence. Our technology assistance includes CAN controllers, robust power supplies, system basis chips, and a wide variety of audio, video, discrete control, and communication subsystems, all designed with a focus on cost and dependable operation in automotive environments. Our work in automotive modules ranges from simpler devices with barebone task scheduling to high-end processors running Linux and full networking support for wired and wireless networking. For some applications we have our own OEM proven CAN protocol stacks, and in others we have experience working with the most common 3rd party stacks and toolsets. We can take months off your hardware and software design cycle and often provide proof-of-concept or prototypes based on our internal designs within weeks of starting. If you are looking to develop an automotive module, get in touch with our expert team and learn how we can get you there faster!